I was listening to it this morning. It's a difficult album, and a bloody good one. It's going to take multiple listens to get much to grips with but I'm already very impressed. I loved this bit: 'There is a freedom in violence that I don't understand/ And that I've never felt before.' The first line didn't prepare me at all for that second one. It's a sudden disjunct that changes the significance of what's gone before. 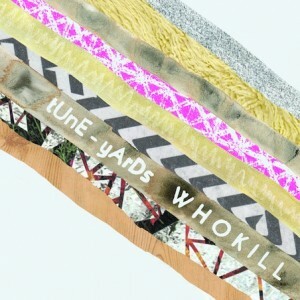 That's a big part of what I like in tune-yards in a nutshell. I have no idea what's coming next. Even when I've heard it before. That's a brilliant way of describing the appeal Max and it is far more the case with this second album. I've really enjoyed listening to it but it wasn't until I sat down with the lyric sheet that I realised how brilliant some of the tracks are. I am generally so distracted by melodies and musicianship that I can often miss the meaning of songs so I've had to train myself to listen better or read the lyrics if they come with the album. Unlike a lot of artists she not only has something to say but she says it with character. I agree it's a better album than the first, which is remarkable given how good the first is. I used to be much more lyrics focused. With artists like this I need to rediscover that a bit. I've perhaps become too used to instrumental or chillwavey stuff where the lyrics are basically just part of the mood. I'm so bad with lyrics that I became infamous for it at drama school. I thought that Thom Yorke was singing about being 'a window' on Creep (i.e. she was looking straight through him...? ).